With the explosion of the “private” rental business wherein residential property owners rent their house or condo on a short-term basis to third-parties, certain legal issues have arisen with regard to the duties owed by the property owner to the renter. If you are leasing space in a building, there may come a time when you receive a request from your landlord to fill out and sign an estoppel certificate. Estoppel certificates are usually sent to tenants in connection with the sale or refinance of a building, and a third party may rely on the accuracy of the statements and information contained in the estoppel certificate in connection with that transaction. Estoppel certificates can range from a very simple, one-page document, to several pages. I’ve received an estoppel certificate in the mail. What do I do now? For homebuilders, financing a real estate transaction, oftentimes via an institutional lender, is common place in the industry. But what is land banking and why should it be considered by homebuilders? When transferring property for corporate restructuring or estate planning purposes, an important issue to consider is whether the successor owner will be covered by the grantee’s title insurance policy. Because title insurance policies insure only the title of the “Insured” identified in the policy, the successor in interest of the named insured may not be covered following the transfer. As demand for commercial bees used to pollinate crops (such as almond trees) has grown, so has the demand for facilities to store bees. Entering a lease agreement for the storage of live bees presents some unique issues the parties need to consider when negotiating the lease agreement. Not so Fast! How Does Revoking Acceleration of a Note Impact the Statute of Limitations? Lenders routinely accelerate notes after a default occurs, calling the entire loan due immediately. Less regularly, a lender may change its mind and unilaterally revoke the acceleration. Rarely, however, does a lender fail to foreclose on its real property collateral before the statute of limitations expires. In Andra R. Miller Designs, LLC v. U.S. Bank, N.A., 244 Ariz. 265, 418 P.3d 1038 (Ct. App. 2018), a unique set of facts involving these issues led the Arizona Court of Appeals to hold that proper revocation of acceleration resets the statute of limitations. In real estate cases—which frequently involve long purchase agreements, loan documents, personal guarantees, deeds of trust, etc.—we’ve likely all had a client or opposing party who trots out the line that they didn’t know what they were signing, or they didn’t read or understand what they were signing, so the document shouldn’t be enforced according to its terms. Most of us instinctively believe the claim is a loser: You signed the document, you’re bound by it. Last year, I wrote a post calling attention to stalled efforts in the Colorado legislature to pass meaningful construction defect reform. Shortly thereafter, the legislature got it done in the form of House Bill 17-1279. This bill creates an important pre-litigation notice-and-approval process whenever an HOA initiates a construction defect action in its own name or on behalf of two or more of its members. Arizona’s trustee’s sale statutory scheme provides for the waiver of all defenses and objections to a trustee’s sale that: (i) are not raised prior to the sale, and (ii) do not result in an injunction against the sale going forward. See A.R.S. § 33-811(C). In other words, if you have an objection to a trustee’s sale, you must seek and obtain an injunction prior to the sale or your objection will be waived. Lately, we’ve been spending more time as litigators pursuing and defending claims of abandonment against contractors. It has become apparent that abandonment is often misinterpreted in its legal meaning and effect. Here are some thoughts on abandonment to consider. On November 14, 2017, the Court of Appeals (Division 1), in Offerman v. Granada, LLC, 2017 WL 5352664, reversed a trial court order directing specific performance of an alleged option to purchase real property, holding that the alleged option was too indefinite to be specifically performed because the parties did not agree to all of the material terms of the option. The Contributors to This Blog Are Pleased to Announce That…. Who says you can’t choose between liquidated damages or actual damages? What Happens When a Secured Creditor Files a Late Claim in an Equity Receivership? 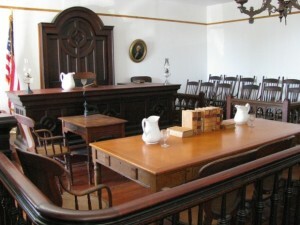 In Arizona, a party successfully quieting title to property may recover its attorneys’ fees if it satisfies three requirements: (1) the party requests a quitclaim deed from the party adversely claiming title twenty days before bringing the quiet-title action; (2) the party tenders five dollars for the execution and delivery of the deed; and (3) the adverse party fails to comply. Ariz. Rev. Stat. § 12-1103(B). Recently, in McCleary v. Tripodi, No. 2 CA-CV 2016-0145, 2017 WL 3723472 (Ariz. Ct. App. Aug. 29, 2017), the Arizona Court of Appeals awarded attorneys’ fees to the prevailing party under this statute. On a high level, construction delay litigation involves sorting out the impacts to the critical project path and determining which party is responsible for those impacts. One of the more difficult elements of this process is determining whether a delay would have occurred regardless of one party’s critical path impact due to a separate, independent impact to the critical path by the other party. For example, a contractor cannot collect delay damages for delays caused by the owner if the contractor itself was causing independent impacts that would have pushed off the completion date anyway. Traditional bases for private nuisance claims include circumstances where noise, light, vibration, or odor emanating from a neighboring property harm the value of your property. Such bases can be objectively verified and quantified. Courts in various states depart, however, on the issue of whether pure unsightliness of a neighboring property, which diminishes the value of your property, supports a cognizable damages claim against the neighboring property owner under the law of nuisance. On June 7, 2017, the Tenth Circuit Court of Appeals issued its opinion in Safe Streets Alliance, et al. v. Hickenlooper, et al., (No. 16-1048), an opinion that could open the doors to property use litigation involving marijuana facilities. One of the issues in Safe Streets was whether a property owner can use the federal RICO statutory scheme to obtain relief arising out of a neighboring property owner using property for the cultivation of marijuana in a manner that causes an impact to the value, use, and enjoyment of one’s property. Clearing up any lingering confusion, in Carrington Mortgage Services, LLC v. Woods, 767 Ariz. Adv. Rep. 4 (June 22, 2017), the Arizona Court of Appeals confirmed that residential forcible entry and detainer actions in Arizona accrue for statute of limitations purposes when a party entitled to possession makes a formal demand for return of possession not when the party could have made a demand for return of possession. The California court of appeal recently issued an unpublished decision in Knispel v. Shore, 2017 WL 2492535, affirming a judgment confirming an arbitration award in a real estate dispute involving Pauly Shore. The court of appeal held that the arbitrator’s failure to disclose her membership in the Los Angeles Lawyers Philharmonic Group with the attorney representing Pauly was not grounds to overturn the judgment. In 1970 the California Supreme Court held that, under certain circumstances, private property owners impliedly dedicate their property to the public if they permit the public to use it. Gion v. City of Santa Cruz (1970) 2 Cal.3d 29. This holding was controversial, and the next year the California Legislature enacted Civil Code section 1009 limiting the public’s ability to permanently use private property through an implied dedication. Appeals of Rulings by The Registrar of Contractors Must Be Timely Filed in Superior Court. Does Your 998 Offer to Compromise Include Attorneys’ Fees and Costs? If an offer made by a defendant is not accepted and the plaintiff fails to obtain a more favorable judgment or award, the plaintiff shall not recover his or her postoffer costs and shall pay the defendant’s costs from the time of the offer. What law governs a deficiency action if the choice-of-law provisions in the note and deed of trust conflict? The Arizona Court of Appeals answered that very question in ZB, N.A. v. Hoeller, No. 1 CA-CV 16-0071 (Ct. App. April 15, 2017). It turns out, the note controls. Ever wonder what happens if a person challenges the timeliness of a trustee’s sale after the sale already occurred? Waiver of the argument of course! And, in the case of Wells Fargo Bank, N.A. v. Waltner, the affirmance of an eviction judgment. Section 2 of the Policy, entitled “Continuation of Insurance,” not Section 9, entitled “Reduction of Insurance; Reduction or Termination of Liability,” applies when a lender acquires property at a trustee sale by “either a full- or partial-credit bid” since Section 2 directly addresses the existence and amount of coverage in such circumstances. In Franchise & High Properties, LLC v. Happy’s Franchise, LLC, a 2015 decision issued by the Court of Appeals in Michigan, the franchisor, Happy’s Pizza Franchise, LLC, signed a five-year lease for the commercial space to be occupied by its franchisee, Happy’s Pizza #19, Inc. The franchisor did so to secure a right of first refusal to purchase the property and to enforce the franchise agreement to have the lease assigned to the franchisor if the franchisee defaulted. It’s official: the October 20, 2016 deadline to petition for certiorari to the Colorado Court of Appeals on its decision in Sierra Pacific Industries, Inc. v. Bradbury has passed, so it appears that decision will stand. You’ve successfully foreclosed on a commercial building in California, and, thankfully, the borrower moved out after foreclosure or after a period of tenancy. But the borrower left behind all sorts of property – furniture, filing cabinets, records, and other assorted property. While you may be tempted to just toss it all in the dumpster, doing so may subject you to liability. There are several statutes that you should consider when determining how to handle the abandoned property. Lawsuits under the California Environmental Quality Act (“CEQA”) typically proceed as petitions for administrative mandamus. This means the petitioner is asking the court to review an agency’s decision and ultimately issue a mandate directing the agency to set aside its decision. In this respect the court acts like an appellate court, reviewing the agency’s decision. There are no witnesses or trial exhibits or jurors or opening statements. 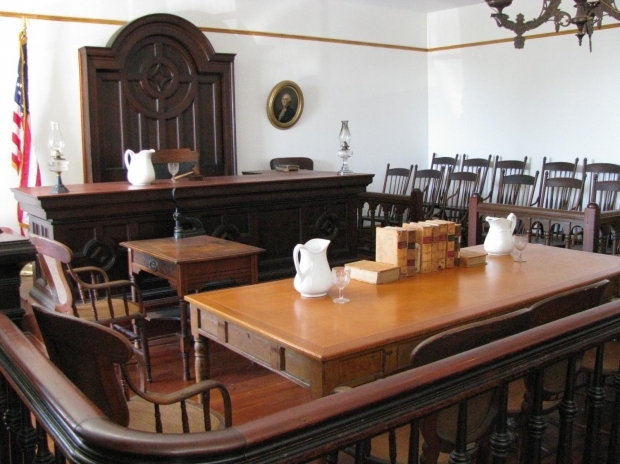 The court reads the parties’ briefs, hears their arguments, and makes its decision based on the evidence in the administrative record of proceedings. On July 21, 2016, the California Supreme Court in Property Reserve v. Superior Court upheld the state’s precondemnation entry and testing statutes provided they were reformed to allow impacted property owners the ability to have a jury trial to determine damages associated with such entry and testing. The California Department of Water Resources (DWR) sought to construct water conveyance facilities that would require significant property condemnation. As part of this process, DWR further sought to investigate the environmental and geological suitability of more than 150 private properties considered for the conveyance route. The Colorado Supreme Court has approved a settlement between the parties to an appeal of the 2012 Colorado Pool Systems v. Scottsdale Insurance Company Court of Appeals case, leaving that ruling intact. The ruling parses a fine line between uncovered costs of repairing defective work and covered costs of damage caused to nondefective work while repairing defective work. This nuanced opinion, which is now established Colorado law, is worth a second look. You are choosing a new paint color for the outside of your house, and you think, “Since all the other houses are beige, I’ll do mine purple.” Not so fast – you better check your community’s governing documents before brushing on that first coat of paint. Yesterday, the Arizona Court of Appeals issued an interesting opinion in Hatch Development v. Solomon. Hatch illustrated two key points in real estate and construction litigation: (1) a contractor’s indemnity does not always require an expressly written obligation; and (2) when facts are undisputed that a contractor is solely at fault for a construction defect, a property owner can be indemnified after paying a neighboring property owner for damages caused by the contractor’s defective work. With the second regular legislative session of Governor Doug Ducey’s tenure complete, the Governor exercised his veto pen rejecting several laws impacting water and land development. Several new California procedural rules went into effect on January 1, 2016. While we are several months into the new year, litigators may need a reminder of these new rules. The list below summarizes several of the notable new rules. New California Code of Procedure section 430.41(a)(2) mandates that the parties meet and confer at least five days before filing a demurrer (California’s motion to dismiss). If the parties fail to meet and confer, the demurring party may submit a declaration to the court explaining why the meet and confer did not happen, and the demurring party is granted an automatic 30-day extension. A recent California case provides good precedent for dealing with nuisance lawsuits that are intended to delay valid foreclosures. In Brown v. Deutsche Bank National Trust Company —Cal.Rptr.3d—, 2016 WL 2726229 (May 9, 2016), plaintiff sued defendants to stop them from foreclosing on her home. The trial court sustained defendants’ demurrer without leave to amend, and dismissed plaintiff’s complaint. The court of appeal affirmed. Nevada Supreme Court Holds that Foreclosure Of HOA Lien Extinguishes Equal Priority HOA Lien. Construction defect reform is a hot-button issue in Colorado. This is especially true along the booming Front Range, where rapidly increasing population has driven the prices of renting and buying property a mile high. Developers maintain that building condominiums is just too risky given their exposure to lawsuits from dissatisfied owners under current state law, while homeowners’ rights groups insist that the current system is necessary to protect homeowners from shoddy construction in what amounts to the biggest investment of many peoples’ lives. The condemnation of property for public works may not always be as clean and easy as the government would like. Although local governments are often critical players in the cleanup and redevelopment of contaminated properties, contaminated property can: (1) trigger disclosure requirements; (2) lead to environmental liability, for example, under the Comprehensive Environmental Response, Compensation and Liability Act (“CERCLA” or “Superfund”) (42 U.S.C. §9601, et seq.) or an analogous state statute; and/or (3) impact the ultimate valuation of the property. Believe it or not, lenders can breach loan agreements too…and when they do, there can be significant consequences. In Great Western Bank v. LJC Dev., LLC, 726 Ariz. Adv. Rep. 21 (Ariz. Ct. App. Nov. 10, 2015), the Court of Appeals affirmed that guarantors’ “lost profits” resulting from the lender’s breach of a loan agreement completely offset the amount owed under the guaranty. Much can be learned from this unusual outcome, so please continue reading for an analysis of the facts and legal principles of this case. The power of eminent domain allows a government or quasi-governmental entity to condemn (take) private property for a public use upon a showing of necessity. In exchange, the property owner must receive “just compensation” equal to the property’s fair market value, and may be entitled to additional damages, such as severance damages, relocation expenses, costs, or interest. The eminent domain powers of school districts and other political subdivisions is set forth in A.R.S. § 12-1111. In the world of real property taxes, Valuation + Classification = Assessed Valuation. Sounds simple, right? The County Assessor determines the first factor, valuation (subject to certain guidelines under applicable Arizona law). The Arizona State Legislature determines the second factor, the property’s legal classification and corresponding assessment ratio (i.e., tax rate). Given the wide disparity in assessment ratios, classification can be a major issue for taxpayers. Arizona homebuilders will welcome with open arms two recent legal rulings of substantial impact to their industry. In the first decision, on July 28, 2015, in Sullivan v. Pulte Home Corp., No. 1 CA-CV 14-0199, the Arizona Court of Appeals held that homebuilders do not owe a duty of care to subsequent (non-original homeowners) for economic losses arising from latent construction defects unaccompanied by physical injury to persons or other property. Does a title company owe a duty of care to third parties in the recording of legal instruments? This is precisely the question that the Ninth Circuit recently certified to the Washington Supreme Court in Centurion Properties III, LLC v. Chicago Title Ins. Co.
With ongoing price volatility in Arizona’s residential real estate market, homeowners may be tempted to become recreational landlords. Anyone considering renting their home, however, should be aware that Arizona law requires residential rental property owners to register their residential rental property with the county assessor’s office, presumably so that assessor can assess the appropriate taxes to the property owner. See A.R.S. § 33-1902. The year the property was built. Are Short-Term Vacation Rentals Legal? The recent explosion in popularity of short-term vacation rentals through services such as Airbnb.com and VRBO.com not only provides terrifying horror stories about problem renters (google it if you’re interested), but also raises serious questions about the legality of the practice. In Arizona, guarantors can now be held liable for deficiencies even where borrowers avoid liability due to Arizona’s anti-deficiency statute. On this Memorial Day 2015, I write in honor of my U.S. Marine Corps colleague, Megan McClung, who was killed in Iraq nine years ago this December. Major McClung and I served together in Anbar Province in 2006. She was the first female Marine Corps officer to be killed in Iraq and the first female graduate of the U.S. Naval Academy to be killed in action. She is buried at Arlington National Cemetery. The superpriority piece of the HOA’s lien consists of the “last nine months of unpaid HOA dues and maintenance and nuisance-abatement charges” and is prior to the first priority lien. The Ninth Circuit Court of Appeals recently held that federal courts sitting in diversity jurisdiction must apply the underlying state law to determine the validity of pre-dispute jury trial waivers where the state law is more protective than the federal law. In re Cnty. of Orange, No. 14-72343, 2015 WL 1727240, at *4–5 (9th Cir. Apr. 16, 2015). Can a court stay the execution of a Forcible Entry and Detainer (“FED”) action when the FED judgment itself is not appealed? The Arizona Court of Appeals recently addressed this question, holding that the court did not have the authority to stay the execution of the FED judgment, because only the denial of an Abeyance/Motion to Set Aside Judgment—and not the original FED judgment—was being appealed. Arizona House Bill 2128, which was signed into law by Governor Doug Ducey on March 23, 2015, has potential impact on the commercial real estate leasing market. The bill enables owners of real property that is leased to religious institutions to enjoy the closest thing to a complete exemption that is available to lessees of real property owned by for-profit organizations or individuals. If Receiver’s Sales Aren’t Foreclosures, What Are They? When no statute specifically authorizes a court-appointed receiver to sell real property, what type of sale is it? The Supreme Court of Nevada recently addressed this question, holding that “a receiver sale of real property that secures a loan is a form of judicial foreclosure.” U.S. Bank v. Palmilla Dev. Co., 131 Nev. Adv. Op. 9 (2015). Injunctive Relief for Building Encroachment. Do I Have to Move the House?